Is your child celebrating his birthday soon? 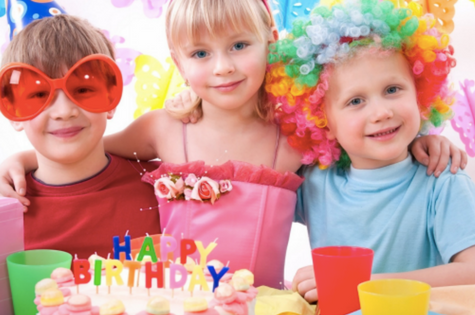 Is your child tired of having the same birthday party repeatedly each year as they get older? Is cake and ice cream not cutting it anymore? If so, then you need to look into alternative ways to have a fun and exciting birthday party. One way to do this is by exploring your limits, as well as your child’s, by offering an active style birthday party that can include many different options and functions. Keep reading to discover a few ways to take your kid’s birthday party past the traditional cake-cutting affair. One of the best ways to have an active birthday is by choosing a location that caters to birthday parties, but also incorporates activity and fun for your children and their friends. Birthday parties in Adelaide can be at a trampoline park or climbing centre, where the kids get to bounce and do rock climbing and other obstacle courses. A party package can consist of everything, including the cake, so all you have to do is sit back and relax. You can also look at other active venues such as laser tag or paintball for older kids. What type of outdoor activities does your child like to take part in? Is he or she a runner? Do they enjoy playing tag? How about riding bicycles? You could very easily have a party theme that is focused on the outdoors for your next birthday party. Have each child bring their bike to the party; make up a unique map for them to follow that leads them to a new location and a new clue, with a new route. In the end, have the birthday party set up with fun games and music to entertain the children. If some of the children do not have bicycles, rent some from a local bike shop, so no one feels left out. The kids will have a great time and will, hopefully, be tuckered out by the end of the day! Sometimes, you cannot be outside playing in the sun. This is especially true if your child has a winter birthday and you live in a cold area that gets snow and ice. Sometimes, a party must be indoors. How do you get your child to be interested and excited when they have a party indoors? By making it fun! There are many ways to keep your child and their friends intrigued and active indoors. One way to do this is to set up a treasure hunt. You can use props such as eye patches and pirate costumes. Make up a treasure map. Before the hunt, you could have the kids watch a movie such as The Goonies or Jumanji to get them in the spirit. This will be a wonderful way for kids to work together to find the treasure and have fun while doing it. A last great suggestion on how to have an active and fun birthday party is to use resources such as public lands. This can include state and federal parks. If you live near a state park, pay for the group of children and adults to go on a hike, camp overnight, or go kayaking in a stream. This will keep the kids active and happy, whilst also letting them learn about nature and the importance of keeping our environment healthy. Make sure to bring plenty of drinking water, sunscreen, and insect spray if you plan this type of party! Why is Planning a Non-Traditional Birthday Party a Great Option? Kids are creatures of habit, yet they get bored easily. If you tend to have the same birthday party over and over except with a different theme, kids can get tired of the same ho-hum activities. Some great ways to spice this up is to use new venues such as trampoline centres, laser tag venues, and other such activity locations. Other ways to make your kids excited about their party is to take them outdoors for physical activity, whether that means sticking close to home or going to a state park for some camping and hiking. Lastly, if you cannot afford a trip or the weather does not cooperate, you can plan an excellent fun-filled party indoors with just a little creative thought. If you follow our suggestions, your child will have a memorable birthday they won't stop talking about! Why have kids birthdays become so fancy?